I haven’t done a gardening update in a while, because a lot didn’t really happen for a while. 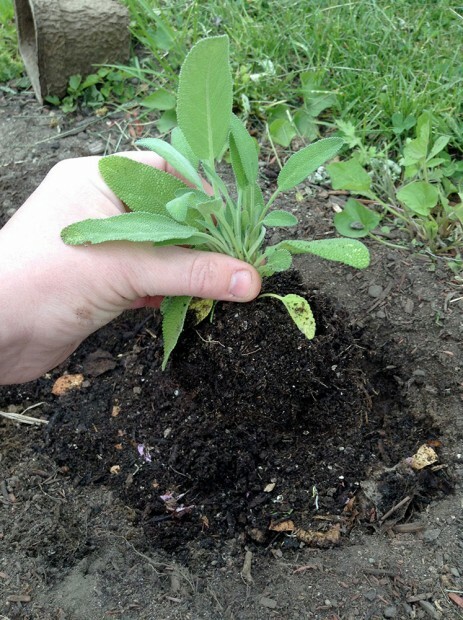 My egg-carton seedlings grew for a while then faltered, which is just what happened last year. Once the true leaves emerged, I fed them plant food—which I’d neglected to do last year—and it actually seemed to kill most of them. A few are still going, though, and still inside. It feels like I’m nursing a sick bird back to health. Meantime, I got some seedlings from the Good Earth Organic Gardening Center here in Cranston, Rhode Island. 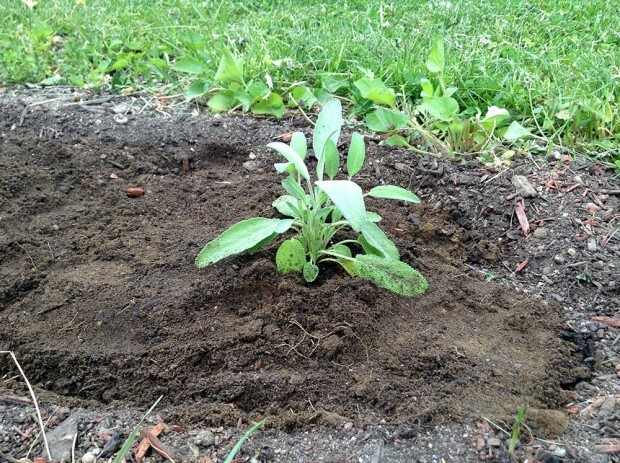 They went into the ground on May 18. I started with some homemade compost we’ve been collecting for a couple of years now. First up was the sage. 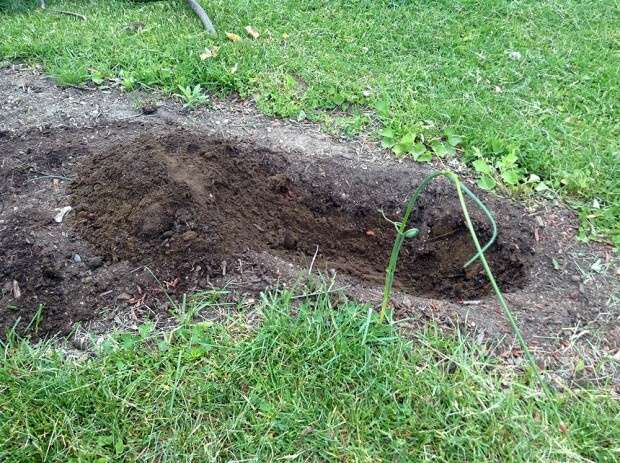 I dug a hole at the top of the designated herb garden. 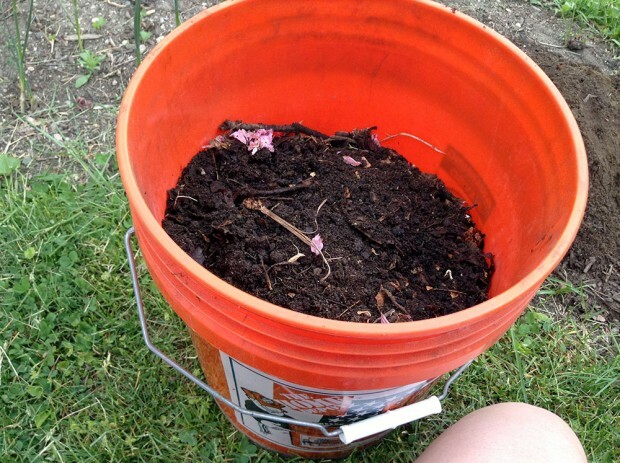 I put compost all around the roots. Into the ground, I packed down the dirt. 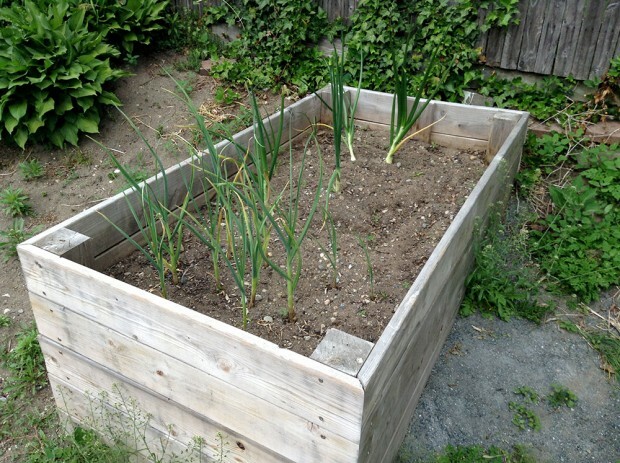 Here’s a before shot of one of the raised beds, with onions and garlic planted last year. 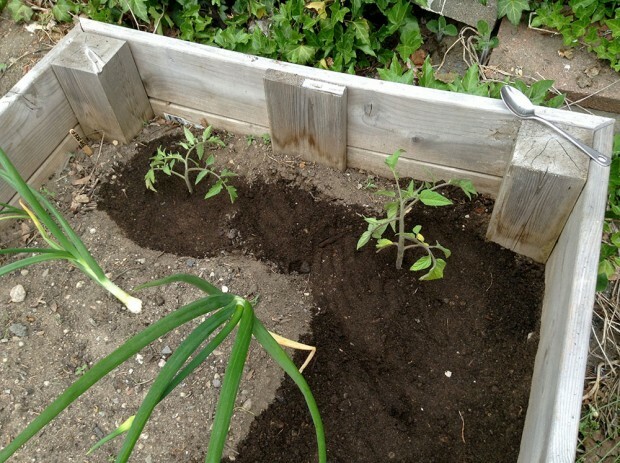 I planted two tomato plants—big beef and brandywine. I put them in the back (east side), against the fence, so maybe I’ll set it so they climb the fence, and also not to block the afternoon sun from the rest of the bed. 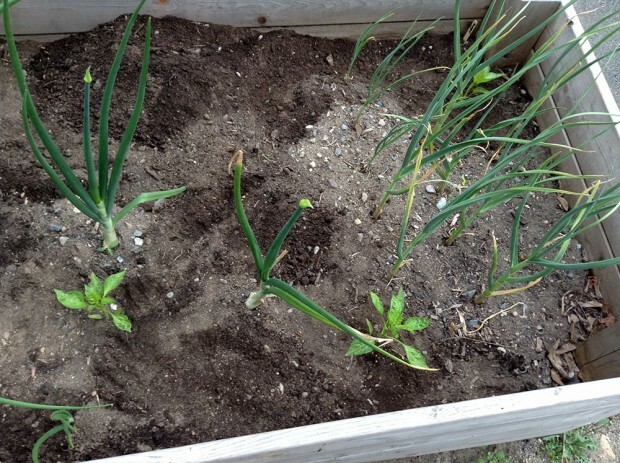 Amongst the garlic and onions, I planted three pepper plants. 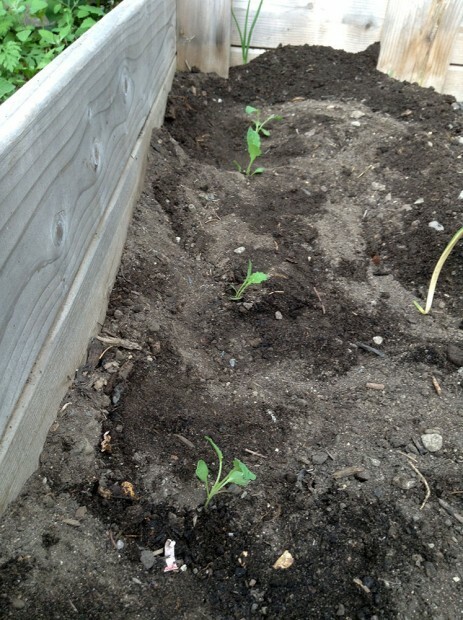 I planted four kale plants, near where my Swiss chard will be planted. Next up to go into the ground: last year’s herbs I’d kept inside all winter that have just barely hung on, and my egg-carton seedlings (Swiss chard, cherry tomato, garlic chive, and spinach if they make it; RIP arugula). Nice job! I started tomatoes and peppers from seed and had them under a grow light for a couple of months. I highly suggest a grow light. I got it at a local indoor grow shop. Since transplanting outside, I lost one due to a ball being dropped on it by you know who and so far the others have been growing well.. Cukes are in the ground starting from seeds so we shall see how they do. I also threw 2 pumpkin seeds in to see if they grow. Take care! Hah nice… thanks for your update Jenn.